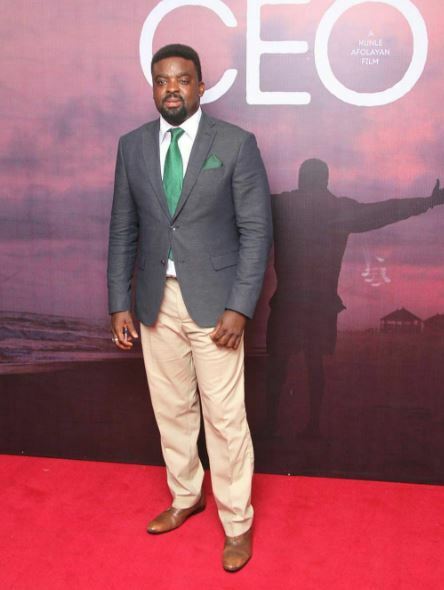 With three diadems, including the Best Feature Film award, Kunle Afolayan’s psychological thriller, October 1, proved the ‘alpha male’ among the over 75 films in competition at the just-concluded Africa International Film Festival (AFRIFF), which held in Calabar, Cross River State. Although described as the poster boy of Nollywood, Afolayan’s feat took Africa by storm, having defeated strong contenders in the continent. The ovation was loudest as he returned to the stage a second time for the Best Feature Film award, having previously received the Best Actor prize on behalf of Sadiq Daba, who played Inspector Waziri in the film – in between, Tunde Babalola, the writer of the October 1 script, had also clinched the Best Screenplay plaque. 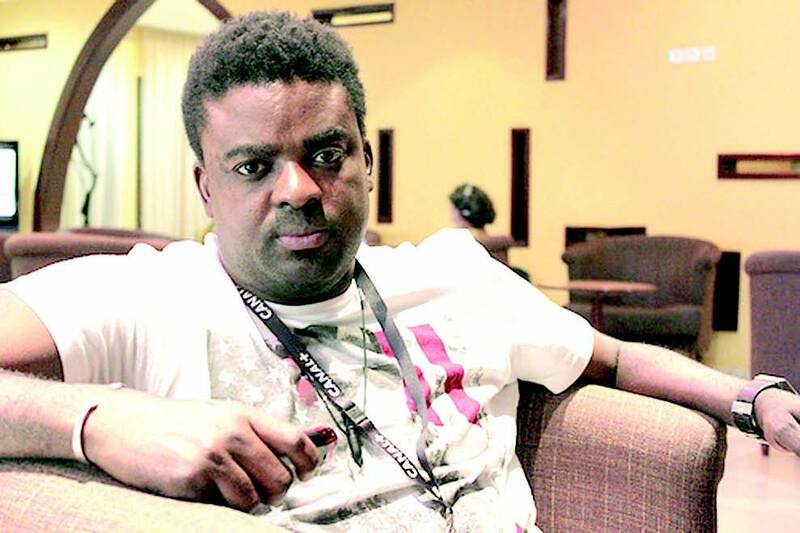 Known for his business-mindedness, Afolayan, who held the plush plaque high-up, asked if monetary prizes were attached to the awards, received the yes nod from the AFRIFF founder, Ms. Chioma Ude from the crowd. The filmmaker then narrated briefly, his usual ‘sweat and blood’ story to describe how the movie gulped N200 million of loans. This was the first competitive award the film has won since its historic release in the cinemas on October 1st. It could be said that the film came with great promises, as, prior to its release, its trailer won the Best Fiction Film Trailer at the International Movie Trailers Festival in 2013, while Afolayan himself received two awards; the ‘Creative Entrepreneur in Filmmaking‘ and ‘Overall Creative Entrepreneur‘ by the British Council in Nigeria, early in the year. The AFRIFF awards night at the Cultural Center, Calabar, offered the best of stage artistry, compelling performances and thought-provoking speeches, as the winners in different categories of the Awards are unveiled intermittently. Other awardees on the night are, Andrew Dosunmu, Best Director for Mother of George; Bola Agbaje and Destiny Ekaragha, Viewers’ Choice Award for Gone Too Far; CJ Fiery Obasi, Best Nigerian Film for Ojuju; Thishiwe Ziqubu, Best Actress for South African film Hard To Get; Joanna Lipper, Best Documentary for The Supreme Price, a film on the late MKO Abiola; South Africa’s Samantha Nell, Best Short Film for Stiff; Naji Ismail, Special Jury Prize for the Egyptian film, Om Amira and Iquo Essien, Best Student Short Film for Aissa’s Story. Delivering on her promise of further training for film students at an American university, Ude unveiled the 10 students who had shown the most aptitude during the festival’s training sessions- they are, Udoekpo Utibe Charles and Lekan Olarenwaju for Directing; Adeolu Adeniyi and Otobong Ekpeyong for Cinematography; Oluwabori Ijimakinde, Adelarin Awotedu and Lydia Gachuhi for Script writing and finally, Emeka Darlington, Hauwa Allahburh and Daniel Ezekiel for Acting. Also, speaking at the glamorous event, the Special Adviser to the President on Research, Documentation and Strategy, Mr. Oronto N. Douglas, represented by his Special Assistant, Molara Wood, urged Nigerian and African filmmakers to take up the challenge of promoting irresistible images of our society on the screen, to show that our stories are also important and valid. Noting that no successive government in the country has done so much for the industry, Douglas said, President Goodluck Jonathan believes in the value that the film industry adds to the economic and cultural development of the country. As a result, he has been walking the talk by providing concrete support through grants and the Nigerian Export-Import Bank, so that the industry can become bigger and better for the benefit of Nigeria, Africa and the world at large. The event was graced by notable personalities, including the Governor of Cross River State, Sen. Liyel Imoke, and his wife, Obioma, Nollywood stars; Genevieve Nnaji, Omotola Jalade-Ekeinde, Kate Henshaw, Rita Dominic, Ramsey Nouah, Segun Arinze and Kalu Ikeagwu among others.